Unregulated Collective Investment Schemes (UCIS), such as Glanmore Property Fund, Keydata Investment Services Limited, Stirling Mortimer Funds, ARM and EEA Life Settlements Fund, are notoriously high risk and speculative investments suitable only for either very high net worth or sophisticated investors who are prepared to take a high degree of risk with their money. UCIS are regarded by the FCA as being so high risk that there are strict rules surrounding what type of clients can be sold such investments. The vast majority of investors do not fall into that category. We have represented many such investors who have found themselves exposed to this type of scheme, often with no idea of what they were being recommended. We have successfully recovered losses for such investors. 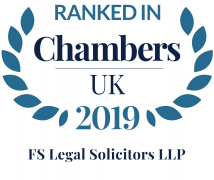 Our Team has been ranked as a leading law firm by Legal 500 both for Commercial Litigation and Professional Negligence.